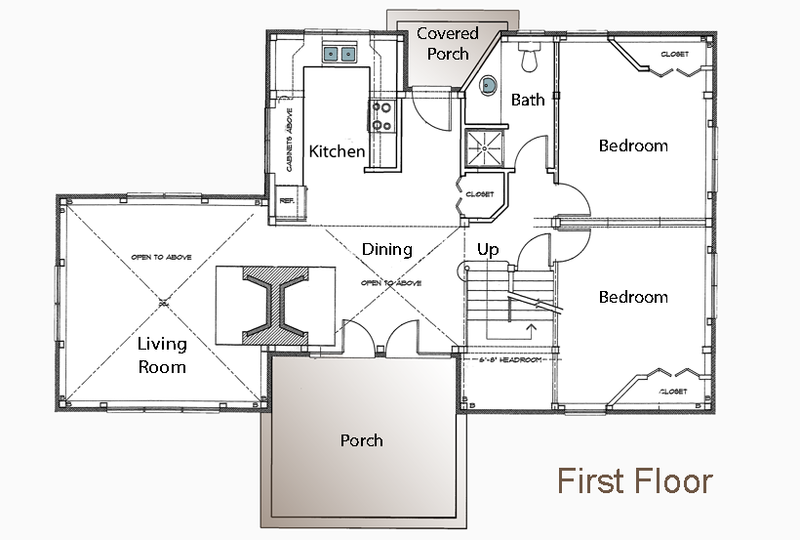 MEEK'S POINT GUEST COTTAGE - (T1466) 1,700 sq. ft. This charming 1700 square foot home is used as a guest cottage and pool house in East Hampton, NY. 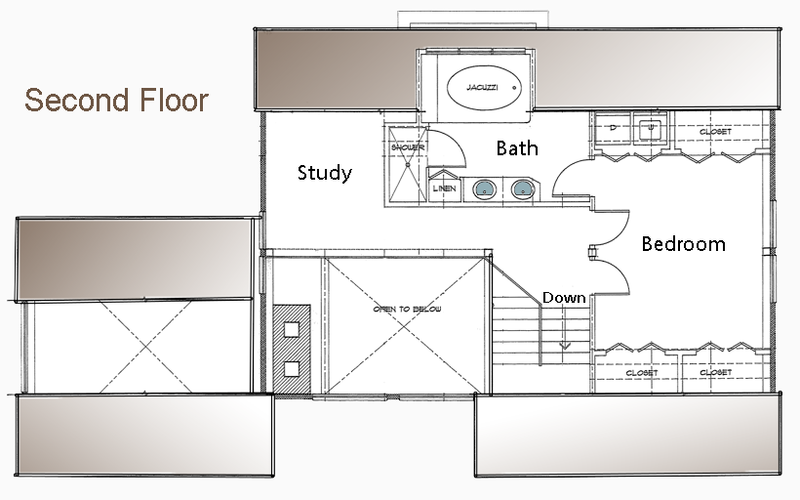 This floor plan could be equally suited for building a small post and beam vacation home on a lake, or a small home for retirement.